Tones of cream swirl together to create a neutral blend with depth and a lucious hand. Alpaca, hemp, acrylic, and wool-nylon make for a soft blend with added durability. Add some luxury to your next cardigan, wrap, or cowl. 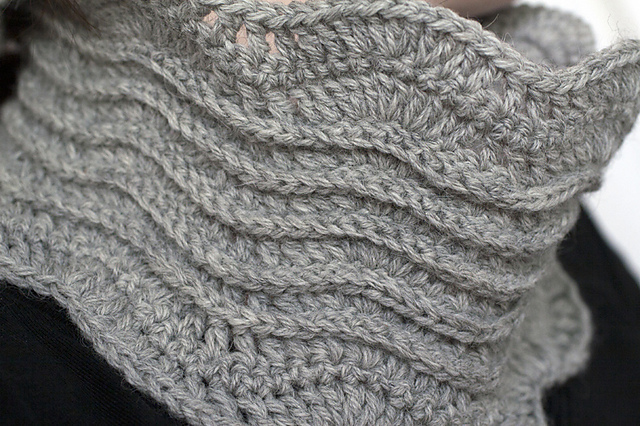 Featured yarn for the Forest Park Cowl. Care: Hand wash in cold water, lay flat to dry. Amount on Cone: 7 oz. Everything was great, and so speedily delivered! This service is such fun, I am excited to create a new order soon!.. It is such a wonderful service to be able to mix your own yarn, especially if you want something particular, such as an interesting mix of wool-free fibers. ..
Just wanted to say that the yarn came the other day, and it is so pretty! I just love it, and so does my three-year-old. She took it out of the package and (budding knitter that she is) actually kisse..
Fast service, the cardboard cones were exactly what I wanted. I was very pleased ..
Dry and chapped hands from knitting, cold weather, or eczema will find r..
We generate lots of yarn scraps here at the shop over the course of a da..
Great for embellishements, borders, and very small projects -- many cone..
his is the yarn you'll want to use for the Coos Bay Beanie, our featured pa..
Greens, in rich jewel and deep forest tones are wound together to create..
Shimmering shades of grey wool, bamboo, alpaca and rayon are combined wi..
Goatsbeard is a flowering plant in the sunflower family, and we named th.. Deep, chocolately shades of brown wool and acrylic are combined with a l..